The 17th Conference on International Exchange of Professionals (CIEP) opened in south China's tech hub Shenzhen on Sunday. The two-day event, featuring a series of forums and recruitment fairs, attracted more than 4,000 professional institutions and organizations as well as over 40,000 government officials, experts and high-end talents from more than 50 countries and regions. 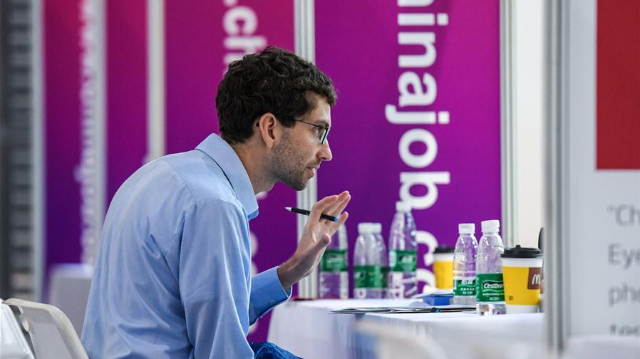 Over 1,500 enterprises will provide 30,000 jobs at the recruitment fairs. A variety of activities were held in Britain, the guest of honor of this year's CIEP, before the conference's opening to attract more innovative overseas talent to start their business in China. Created in 2001, CIEP has become one of China's top events for international talent exchange.